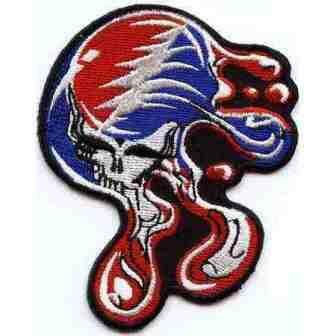 This embroidered Grateful Dead patch has the classic Steal Your Face image melting. It measures approx. 3" x 3 1/2" and is official Grateful Dead merchandise. This patch can be ironed on or sewn on.